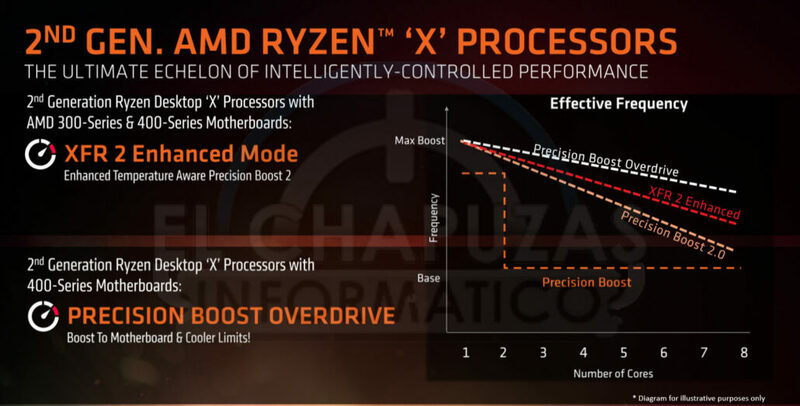 The first review of AMD’s upcoming Ryzen 7 2700X and the Ryzen 5 2600X processors has been published by the french magazine CPCHardware (via Videocardz). The review shows off that the 12nm Zen+ cores do a good job at improving the already spectacular multi-threading performance and delivering better gaming experience at the cost of higher power consumption which comes from the higher clock speeds. The French magazine tested a total of three chips that are part of the upcoming Ryzen 2000 series family. These include the Ryzen 7 2700X, Ryzen 5 2600X and the Ryzen 5 2600. 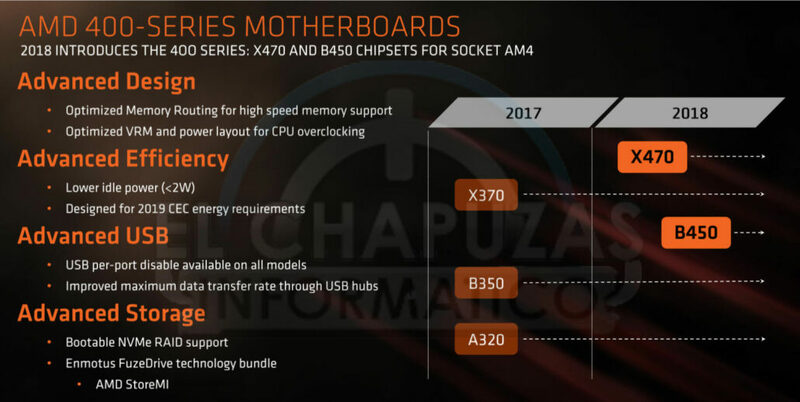 Aimed at the main stream high-performance market, the chips will stand loyal with the AM4 platform and while there is a new 400-series chipset launching alongside these chips, the current motherboards are more or less still very capable to house these new entrants. There will be a few features missing if you’ll be using the older boards such as Precision Boost Overdrive and XFR2 but these chips are still a whole lot capable when it comes to performance numbers. Moving on to the performance numbers, we can see that the AMD Ryzen 7 2700X delivers 14% better performance in multi-threading workloads compared to the last-gen flagship, the Ryzen 1800X. This is a great improvement and we can only expect higher performance on a much more capable motherboard. The Ryzen 5 2600X is 11% and the Ryzen 5 2600 is 8% faster than its older counterpart. When it comes to gaming performance, the average performance uplift from the Ryzen 7 1800X is around 4% while the Ryzen 5 2600X is around the same at 4.2% better than it’s predecessor, the Ryzen 5 1600X. The non X Ryzen 5 2600 is a 4.3% jump over the non-X Ryzen 5 1600. The Ryzen 7 2700X is still 14% slower when it comes to gaming performance compared to a Core i7-8700K or the Core i7-7700K. Games that were tested included GTA V, Grid Autosport, Battlefield 4, ARMA III, X3: TC, The Witcher 3 Wild Hunt and Company of Heroes 2. Moving on the latency sub-system, we can see much lower latency compared to first generation Ryzen parts which is a direct result of the architecture improvements. Similarly, the boost system on the Ryzen 7 2700X scales much better across all cores compared to the Ryzen 7 1800X, reaching as high as 4.3 GHz on a single core and 4.175 GHz on 2 operating cores. Last of all, we have the power consumption results which show that the improvements in clock speeds affected the power input. AMD states that the Ryzen 7 2700X has a TDP of 105W, the testing shows that the CPU on stock frequencies was consuming 6.6W on idle loads which is fine but on load, the CPU sipped in 142.6W from the wall. This is a 13W jump in TDP for the CPU alone without any overclocking taken into consideration. The Ryzen 5 2600X seems a jump of 17W over the Ryzen 5 1600X. The AMD Ryzen 2000 series will be launching on 19th of April so expect more details prior to the official launch.